We have some new rumors regarding the upcoming live-action Star Wars TV series, which is officially titled The Mandalorian. Iron Man and The Jungle Book director Jon Favreau is executive producing the series and serves as the main creative mind behind the project. Even though production on the series recently kicked off, there hasn't been any official announcements made on the casting front. But now we have some new rumored names who may show up in front of the camera. 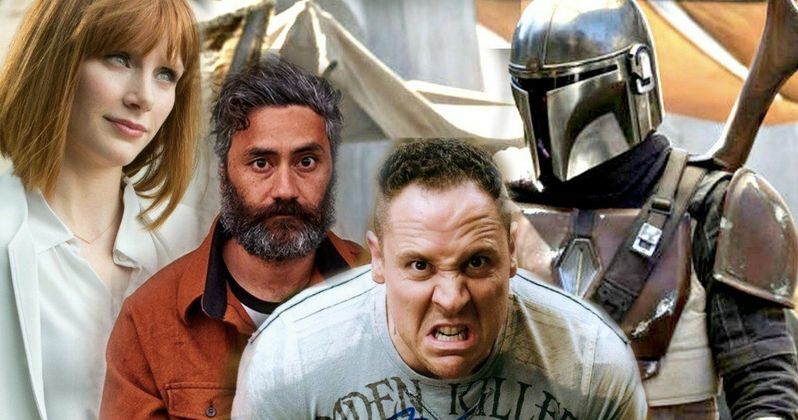 According to a new report, Bryce Dallas Howard, Taika Waititi and yes, Jon Favreau are all going to have relatively minor roles in The Mandalorian. As it just so happens, both Howard and Waititi will also be directing episodes of the show, which has been officially announced by Lucasfilm. As for Jon Favreau, he voiced characters in The Clone Wars and had a role in Solo over the summer. Since he's so heavily involved, it would make perfect sense for him to pop up in some form, since he's also an accomplished actor. For the time being, there is no word on who Bryce Dallas Howard, who was most recently seen on screen in this summer's Jurassic World: Fallen Kingdom, could be playing. As for Thor: Ragnarok director Taika Waititi, he's expected to be voicing a droid, which would make perfect sense. Anyone who saw his work as Korg in the aforementioned Marvel movie knows that he would be a perfect fit for something such as that. It also makes sense from a production standpoint. Why not make use of their talents both in front of and behind the camera if they're going to be on set anyway? It's interesting that Lucasfilm has managed to keep a lid on the core casting for the series so far, especially since it's already filming. We recently reported that Narcos star Pedro Pascal is said to be up for one of the lead roles, but that has yet to be confirmed. What we know for sure is that the first ever live-action Star Wars series will be set after Return of the Jedi and before The Force Awakens. It will center on a lone gunman, not named Boba Fett, in the outer regions of the galaxy far from the reaches of the New Republic. The Mandalorian will consist of 10 episodes with the first episode to be directed by Rebels and The Clone Wars mastermind Dave Filoni. The series will debut exclusively on Disney's streaming service next year, though no exact premiere date has been set. The series will be quite expensive, with a budget of roughly $100 million, making it a very big investment for the studio. We should expect to hear an official casting announcement in the not-too-distant future, which will hopefully confirm or deny these rumored cast members. This news was first reported by Discussing Film.